Not getting calls from employers?. Could your CV be holding you back?. Help from a professional CV writer could be the answer!. With more expatriates in UAE than ever before and applying for every role, in today’s job-seeking landscape it’s imperative that your professional CV stands out. It’s a representation of who you are!. Our CV writers know exactly what UAE employers are looking for because our CV Writers have extensive experience of writing CV’s in the industry that you are applying for. Our CV writers understand how to pitch your skills and experience, because they are experienced professionals. 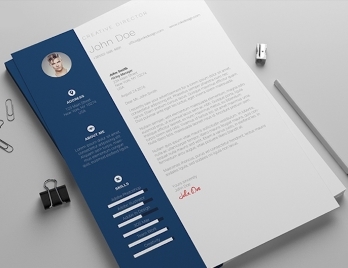 We make sure that your CV stand out from other candidates because no templates will be used and the layout will be indicative of a CV in your industry. Writers know how to pitch every level and it is for this reason we are confident and capable of writing a Graduate CV as we are for a niche industry CV. We want to help you to stand out from the crowd in the hope of securing interviews by offering you a quick and simple way to create your CV. Having a powerfully written and well-presented CV clearly gives you a significant advantage over other job applicants in UAE. We offer a unique and flexible service which can be tailored to individual requirements. We have an excellent track record with a success rate of over 80% in gaining interviews for our clients. Our team has produced interview winning CV’s for a huge range of clients worldwide. We have been trusted by individuals and major corporations to provide CV writing services of the highest standard. Our packages are very affordable compared to our competitors in UAE. The quality of your CV is the very first feature that an employer will judge you on – and in today’s competitive UAE job market, it’s more important than ever to make a winning first impression. The secret of our CV writing service lies in knowing precisely what to put in, precisely what not to put in, and exactly what kind of a spin to put on your CV, to ensure yours will stand right out from the crowd – to give you the very best possible chance of getting the job you want. Cover letters and LinkedIn profile creation are included with our packages free of charge. Delivered in MS Word & PDF format. Get a stunning CV / Resume personal website that employers can access online 24/7. CV / Resume published on the web enables passive job-seeking using keywords. Publish your portfolio and work samples online with images and videos. Link your Word / PDF resume and social media accounts on your website.